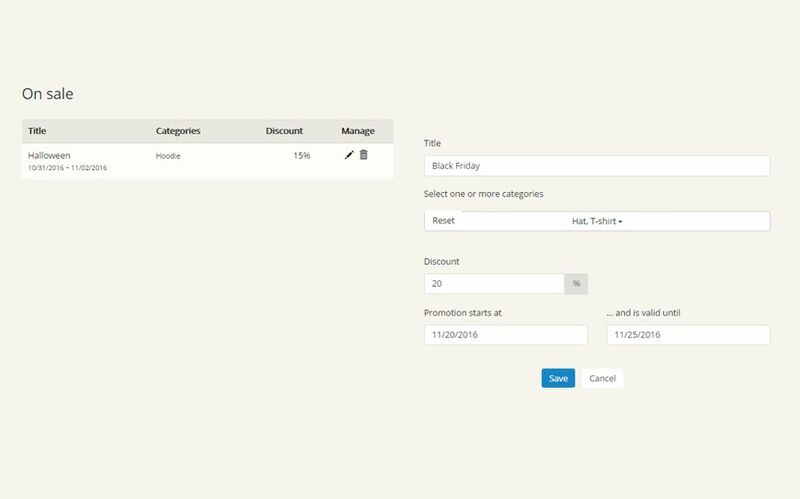 Create seasonal sales or put your products on sale by providing discounts for a specific category. You can add fixed-price sales. Your customers will purchase your product at a lower price. First of all you need to name your promotion. Simply fill in the title field with the desired name (for ex. Halloween promotion, etc). Select the categories for which your want to add the discount, add the amount of the discount and lastly set the time interval for the availability of the promotion.